A Few Affordable Trina Turk Finds! 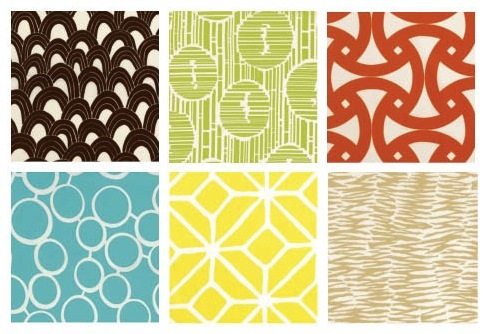 Trina Turk has had an amazing line of indoor/outdoor textiles available at Schumacher for a while (a to-the-trade retailer) that sells for about $90 a yard. The bold colors and graphic patterns are incredible, and if you don’t employ a designer at the ready, they’ve likely been inaccessible to you. I just found them for about 25% off the regular retail price at Inside Fabric, an online retailer that is open to everyone. And there’s more! When you’re done fabric shopping, enjoy this colorful and totally mod Coachella Hook Rug by Trina Turk for $105. It’s pretty small, but guaranteed to make a huge impact in your bathroom, hallway, or at the foot of a tiny kid-sized bed. Oh, you’re welcome again. Don’t even mention it.